﻿ EURO 2012 » EURO 2012 – An Austrian company will built a stadium in Lviv. EURO 2012 > Euro 2012 > EURO 2012 – An Austrian company will built a stadium in Lviv. Austrian corporation Alpine Bau Gmbh won the competition for a build of a new stadium in Lviv. On Thursday, the mayor of Lviv informed that the football matches of the Euro 2012 championship, that is organized by Poland and Ukraine, will take place in the mentioned stadium. According to Lviv city hall, the stadium that is rated for 33 thousands seats, will cost 85 millions Euro. The design of the building took its pattern from the stadium in Bern, where the participants of EURO 2008 will stay. Alpine Bau will also build a parking (17 millions Euro) and a 3-starred hotel near the stadium. There was another Austrian company that participated in the auction. It was Implenia Global Solution Ltd which offered the build of a stadium that would contain from 32 to 55 thousands seats and cost 150 millions Euro. 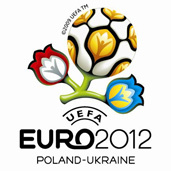 EURO 2012 football matches will take place in at least four Ukrainian cities – Kiev, Dnipropetrovsk, Donetsk and Lviv.